Mini chefs in Derbyshire have proven to be amongst the best in the country, having cooked their way to success in a nationwide healthy cooking competition. The Let's Get Cooking BIG Cookathon at Old Hall School in Chesterfield. Pupils from two primary schools - Doveridge Primary School in Ashbourne and Old Hall Junior School in Chesterfield (pictured above) - have been crowned the East Midlands regional champions of the Let's Get Cooking 'BIG Cookathon 2012'. Both clubs will receive special framed certificates and a portion of a £5,000 prize pot to spend on their Let's Get Cooking club. More than 52,000 children and adults from across the country signed up to take part in the challenge which invited them to run their own community event to try and get the most people cooking the Big Cookathon 'Ham and Leek Crumble' or the alternative 'Veggie Crumble' recipe on the same day, while adding their own unique spin. With a team of 148 pupils, parents, teachers and members of the local community, Doveridge Primary School took the prize for getting the most people cooking the same healthy dish on the same day. Amanda Keogh, the Let's Get Cooking club coordinator at Doveridge Primary School said: "We are absolutely thrilled to win this award for our small, village school. It was a real bonding experience for both pupils and the local community to share their cooking skills together." And earning themselves joint top spot for being the region's 'outstanding club winner' for organising a whole school BIG Cookathon event, even though they have no kitchen facilities, was Old Hall Junior School. Pupils made the competition recipe crumble topping at school and then did the oven-cooking at home with their families. Jo Wallis, a parent who volunteered to help out on the day, said: "Let's Get Cooking has been a great tool to help start regular cooking at our school. Old Hall Junior School is having a refurbishment over the summer holidays and so we will start next term with a new kitchen complete with ovens! This will allow us to increase the variety of Let's Get Cooking recipes we can cook with the children." 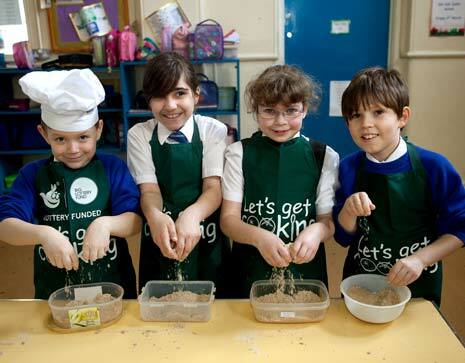 Led by the Children's Food Trust, Let's Get Cooking is a growing network of after school cooking clubs for children, their families and the wider community, supported by a £20 million grant from the Big Lottery Fund. More than 400 school-based clubs registered to take part, making the 2012 BIG Cookathon, the biggest in its three-year history. Regional Let's Get Cooking Manager for the East Midlands, Rebecca Popple, said: "The pupils showed us exceptional cooking skills, well beyond their years. They did a brilliant job - all their dishes were presented in true chef style, good value for money, delicious and highly nutritious. 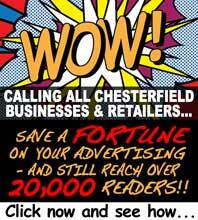 "Both Doveridge Primary School and Old Hall Junior School are truly worthy winners. From everyone here at Let's Get Cooking, I'd like to say huge congratulations to everyone who rolled up their sleeves and got stuck in."